In this stressful age, the subject of yoga retreats as “vacation” comes up often. Travelers may ask, are they a good option for a parent-child or three generation getaway? The answer is yes, if all participants are interested in connecting over the same activities. Family members should also share an appreciation for the contemplative aspects of yoga, like meditation, numerology (read more) and other spiritual practices. The beautiful grounds of Feathered Pipe in Montana contribute to guest well-being. Are yoga retreats a good way to see the world? There are more locally-focused options based in local hotels that are usually good value. Another plus is that many organizers will help pair singles with a like-minded partner to share room costs. Here is a sampling of domestic and international retreats that emphasize local culture, for yogis who consider themselves travelers first. In the studio where I practice, several of the professional instructors are involved in either leading or providing instruction on getaway yoga vacations. James Murphy, director of the Iyengar Yoga Association of Greater New York and a gifted teacher, is one of them. His trip, organized through Yoga Out There, welcomes yoga practitioners of all abilities and ages to join two classes daily as part of an introduction to the unique Balinese culture. From the clove farms of Munduk, participants head to a north coast beach for snorkeling, then to the rice plantations of Ubud for the last eight days.”It’s a cultural immersion into the world of the Balinese with yoga every day, to both prepare and recover from the day’s activities,” James says. A local guide accompanies the group; land only rates include all programs, hotel and most meals. The beautifully rustic Feathered Pipe Ranch near Helena, Montana in the Rockies, runs in-house and some international retreats. After 43 years, it claims to be one of the oldest centers for conscious living in the country. Multiday retreats in different forms of yoga, ayurvedic wellness and philosophy are led by visiting instructors all year, with more frequent programs in summer. The Tassajara Zen Mountain Center, founded in 1967 by Shunryu Suzuki Roshi of the San Francisco Zen Center, offers public programs from April to September plus some Zen retreats in winter. One or more multiday sessions themed to Body & Mind, Joyful Ease, Cultivating Trust and other mindful living topics take place weekly at the isolated, energy-independent retreat 25 mile southeast of Big Sur. Their invite reads, “Zen and meditation seekers, yoga lovers, artisan foodies, outdoor adventurists, and everyday people looking to unplug and rejuvenate are invited to experience a truly serene environment at Tassajara.” Known for equally celebrated teachers and guests including Steve Jobs, Governor Jerry Brown and Joan Baez — plus hot springs, vegetarian cuisine and a best-selling bread baking book — Tassajara attracts many vacationers during its summer guest season so early bookings are required. In The Minotaur, Albert Camus wrote, “In order to understand the world, one has to turn away from it on occasion.” Several yoga retreats have sprung up with this goal in mind. The Ak’bol Retreat and Eco Resort in San Pedro, on Ambergris Caye off the Belize mainland, is a full-time yoga and meditation resort where yoga teachers and their students come for organized retreats. It was begun more than two decades ago and now encompasses seven thatch roof bungalows, some village rooms with shared bath, a Soul Kitchen restaurant and two yoga palapas for open-air practice. Owners Milio and Kirsten lead regular yoga classes, and there are frequent drumming sessions, talks on Mayan healing, and other spiritual and wellness programs. One April, a family with a 10-year-old who likes yoga joined her retreat. You have to; her program offers four hours of yoga daily. “There is great value to going to a beautiful, natural environment and practicing yoga,” she explains. “One opens up quickly, relaxes and regains strength.” Friendships are made easily. “One finds good company because people actually have time to enjoy each other,” she adds. For more information, contact CarolynChristie[at]me.com. I’ve found that teacher Michelle LaRue, a professional dancer turned yoga practitioner, has a real gift for seeing the physical potential in each student. When I heard she leads retreats in rural settings where, in between yoga sessions, her students can hike, swim or otherwise stay active, I signed up. “I really like to offer a beautiful setting, great vegetarian food and a glass of wine at night, something my students can enjoy if they want to,” she adds. For several years, she has held a weekend yoga intensive at Race Brook Lodge, one of many small inns in that verdant corner of the Berkshires that gave us Arlo Guthrie and the Tanglewood Music Festival. She works with One Hundred Skies, a group that organizes yoga adventures with various teachers at domestic and international retreat locations, and her retreats can be booked through them. If you’re traveling solo and want a home base with minimal structure, Eremito is a more luxurious spiritual resort than many in Asia or the Caribbean. The environmentally-conscious property is a 14-room stone cloister on a 3,000-hectare preserve in Umbria. Gregorian chants play at the grotto pool. Designed for single guests only, Eremito invites visitors to unplug, detoxify and explore their inner selves with daily meditation and yoga sessions. What it doesn’t offer: WiFi, phones,TV, business center, tennis, golf, minibar. Any power used beyond candlelight comes from solar cells; vegetarian meals are locally sourced and served in silence. For more options on hotels that focus on wellness, check out the new consortium called Healing Hotels of the World. I’ve reported on the detoxifying, stress-relief regimen at The Chopra Center in California, and the equally intense ayurvedic healing retreat at Devaaya in Goa, India, both of which incorporate daily sessions of yoga and meditation. Of course, hundreds of variations on the transformational travel or yoga getaway exist, as varied as the yoga practice itself. 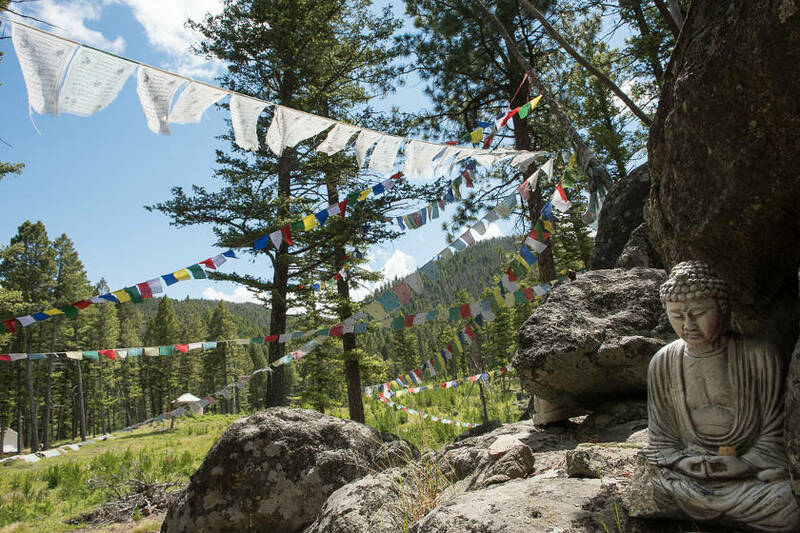 Personal growth is the goal of many of these wellness experiences, whether participants travel around together and explore a culture, or stay still and explore themselves as individual family members. Please share your thoughts, favorite retreats and resources in the comments field below. ubud would be super for a mother-daughter getaway. The Yoga Barn is terrific: it cascades down a hillside, first with welcome bungalow, then a really good restaurant, then a yoga building (photo below), then gardens and what I think are either cottages for accom or treatment rooms. And meanwhile you’re in ubud! Some people stay at the yoga barn but it’s pretty expensive by ubud standards. I had a beautiful guest house– traditional compound with statuary and pool and ornate platforms — for $25 cDN and I left it for a better one. Plus today I went to beautiful spa, garden setting, 5 mins from yoga barn, and had massage , papaya scrub, and soak in a flower-filled tub — $27 cDN , so that’s maybe $20? < The patio of my guesthouse. 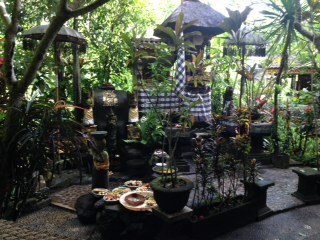 Ubud is so very beautiful, my room is like a private bungalow by a ravine, beautiful greenery, sounds of cicadas and rushing water, and this little temple where the lady of the house does a ceremony every morning. Contributed by user Teresa Plowright. very informative article Travel forums provide first hand experience and advice to travelers and are a great source of information and travel tips.